We are now talking about how to fix problem at Huawei Ascend P1 / P1S (U9200, U9200E). Huawei Ascend P1 is thin smartphone from Huawei which already have 4.3 LCD screen wide with Super AMOLED screen to give bright and colorful display when using this smartphone for entertainment or for doing any other job. Of course good display will make it more fun. How to Force Soft Reset or Force Reboot / Restart when Huawei Ascend P1 frozen or LCD touch screen not responding ? Because of any causes, Huawei Ascend P1 can be hang or stuck in the applications or can not access anything while the phone still running an application. Since the battery or Huawei Ascend P1 is not removable, than we can not release the battery to do soft reset, but do not worry because we still can force the Huawei Ascend P1 to restart or soft reset by press and hold Power Button several seconds until it reboot by itself. This step will not remove any important data, this only act like turn off and turn on the Huawei Ascend P1 again. This is the way to erase all data on Huawei Ascend P1, such as Google Account, Contact, SMS, application and it settings. When will We Need to Factory Reset Huawei Ascend P1 ? We hope this is the final way to do while we can not find other option to fix our smartphone. Huawei Ascend P1 need to be hard reset to factory default when we can not access anything or the phone become slow to access or some unusual problem happen such as hang or stuck or frozen or bricks at our Huawei Ascend P1. Please remember to always backup your data before doing Hard Reset. How to Restore or Bypass or Unlock forgot Security Password or Pin or Screen Lock Pattern Huawei Ascend P1 / P1S? If you forget the Huawei Ascend P1 / P1S security password code, then try to recover it with Forget Password button in your Android, it will ask for default Google account in Huawei Ascend P1 / P1S. But if you still can not access the Google account, then you should do master reset with format to factory default with the step by step upside. How to Change Battery Huawei Ascend P1 / P1S (Battery Replacement) ? Huawei Ascend P1 / P1S battery is non removable, it is mean that we can not replace anytime the battery. Actually we can do it by our self, but this step is only for advance user, because several tools needed to open the back case and any other component inside Huawei Ascend P1 / P1S when replace the battery. But do not worry when you need to change the battery get problem, because the nearest service center will easily help us to change the battery. [Q] my phone is stuck on booting when i turn it on. i already tried factory resetting it but it still same thing happens. also, when i tried to run the intermediate pack and other update.app the dload folder becomes empty even though it already contains update.app. please help. [A] Hi, it seems that your have finish reformat or reflash your Huawei Ascend P1 using microSD card with dload folder. Usually this process will run without problems, unless you use wrong firmware file. Please make sure your download firmware version is correct and try again to reflash your Huawei Ascend P1. The information from this page describe about huawei ascend p1 hard reset,huawei p1 hard reset,hard reset huawei ascend p1,huawei u9200 hard reset,huawei ascend p1 reset,huawei ascend p1 factory reset,huawei ascend p1 battery replacement,how to hard reset huawei ascend p1,how to hard reset huawei u9200,hard reset Huawei u9200. If you need another resource for hard reset, use search function at this homepage or find from our related posts. How to Easily Master Format ACER LIQUID E3 (DUO) / ACER E380 with Safety Hard Reset? Hi, the battery of Huawei Ascend P1 is non removable, it mean not every user can change the battery easily. So How to change Huawei Ascend P1 battery? Please bring your Huawei Ascend P1 to Huawei service center, you will be get professional team to change Huawei Ascend P1 battery safely with the original battery. I’m having the same battery issue that’s been mentioned. Are you aware of any Huawei Service centres in Johannesburg? Hi, sorry we do not have data about Huawei service center at Johannesburg, but you can ask your provider if you buy Huawei with phone provider package. How much it cost to replace ascend P1 battery in singapore? Hi, you need to discuss it with our local Huawei authorize service center, because the price and service fee will different for each locations. my huawei u9200 doesn’t work I tried the boot setting, ‘Huawei SD card update fail’ appears and the volume control only works when I try to choose wipe data/factory reset , power button doesn’t work so I get stuck I don’t know what happened to my phone please help me. 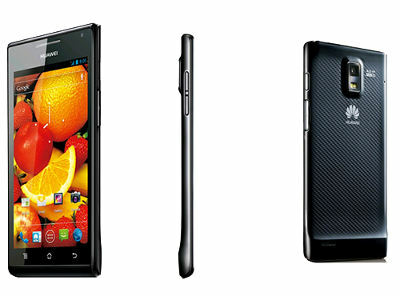 Hi, have you every try to reinstall or hard reset the Huawei Ascend U9200 with dload folder at your SD card? Try to remove the SD card and start your phone. After that use menu setting to hard reset or factory reset your smartphone. Hi, maybe your LCD screen is turning off by itself when your Huawei Ascend P1 does not connected to charger. We just worry the phone is not charge properly or the battery get problem and need to replace with new one. Try to charge until full, and see weather your Huawei Ascend P1 can start until the logo appear or not. If the screen turning off, you may try to do something to know weather your phone still on or totally off. Maybe you can try to miss call from other phone. If you can not reach your Huawei Ascend P1 GSM number then maybe the phone totally off. If you have already try to do hard reset but the problem still like that, then you should bring to Huawei authorize service center for further check the hardware. My Huawei Ascend P1 switching off on its own and times losing the cellular network. What be the problem with it, is the problem software or hardware related. Hi, the ideal steps to find out weather your problem comes from hardware or software is try to do hard reset. After doing hard reset all applications will back to factory default, then downloaded or installed applications will be remove. At this moment you will see weather the Huawei Ascend P1 still work normally or not after doing hard reset. If you phone still get problem, then you should bring your phone to nearest service center to get further hardware test. Hi, we assume you mean your SIM card does not work properly after inserted to Huawei Ascend P1. Actually if the data connection already show connected, you can test your data connection by open browser and browse to some URL like Google.com or Yahoo.com. If you can not connect to that site, then maybe your network not work properly. Please try to change the GSM card with others one should be already subscribe to Internet data service, put it at your Huawei Ascend P1 to test your network connection. If you still get the same problem, try to do hard reset or master format. hi. i have a problem with my huawei p1 its screen start flickring, flashing with grey horizontal lines when ever i turn on the display….it is so annoying…. do u have any idea to fix this problem…i hope u understand what im trying to explain. im running my device on custom version cynogen mode v10.1 jelly bean 4.2.
and the most interesting thing is that it happen when the device is cold…and when it gets hot the problem is gone. Hi, unfortunately we can not give standard solutions when your Huawei Ascend P1 already at root and using custom ROM conditions, because there are many trouble happen because of not supported gadget to firmware or not fully function work as well. But you still can find out weather this problem comes from your hardware or your firmware, by see what happen at first time boot before the OS start. If the flicking start from beginning of turning ON then maybe you need to bring your phone to Huawei service center because it seems your hardware get trouble. Where in Canada (specifically southwestern Ontario) is a Huawei service center since my battery on my Huawei ascent p1 is not charging every effiicently. my phone is stuck on booting when i turn it on. i already tried factory resetting it but it still same thing happens. also, when i tried to run the intermediate pack and other update.app the dload folder becomes empty even though it already contains update.app. please help. Hi, it seems that your have finish reformat or reflash your Huawei Ascend P1 using microSD card with dload folder. Usually this process will run without problems, unless you use wrong firmware file. Please make sure your download firmware version is correct and try again to reflash your Huawei Ascend P1.